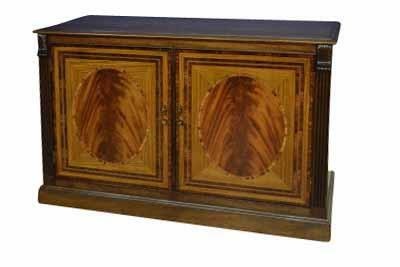 Description: Two door mahogany and satinwood buffet, also uses tulipwood and rosewood in the details. 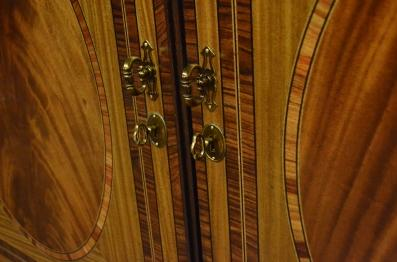 The buffet top is a cathedral mahogany which helps keep the focus on the doors which carry all the fine detail and inlay. 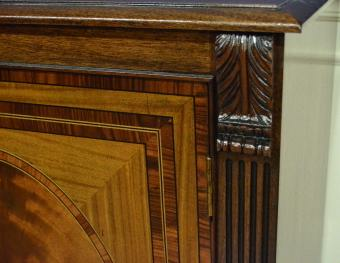 These smaller buffets are a great option on either side of a doorway as you walk into your diningroom. 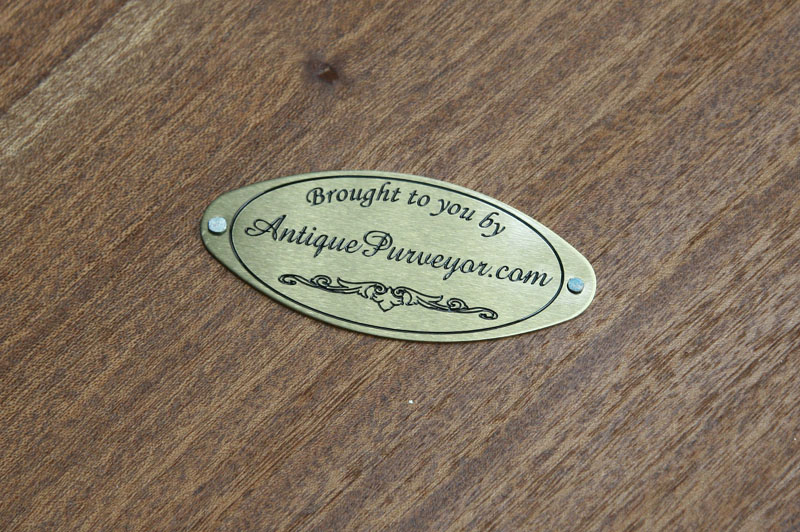 Lots of storage and very high end.